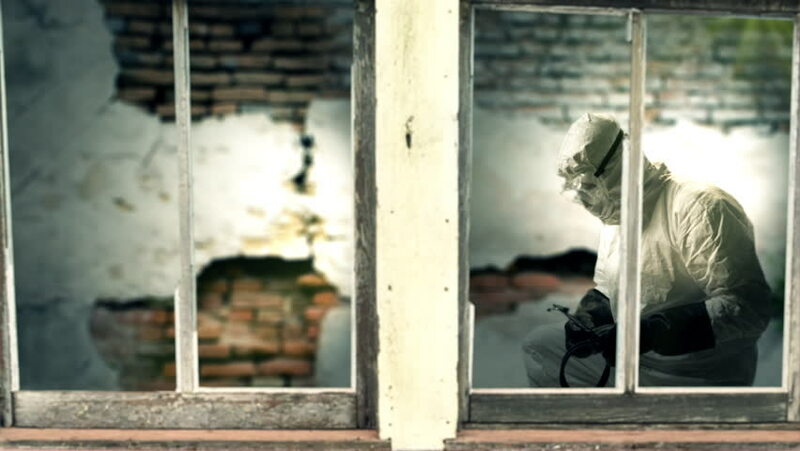 POV through a ramshackle window to where two doctors wearing full protection against exposure to the Ebola virus are working. Dilapidated wall in background. hd01:06CIRCA 2010s - U.S. soldiers train the Iraqi Army in commando tactics. hd00:13MOSCOW - MAR 14: ( timelapse) Man checking new building donstroy house at Sokolniki, on Mar 14, 2013 in Moscow, Russia.